It really happened. Jesus truly rose from the dead. And we have reminders of that every spring. Trees that looked completely dead begin to flower. Tiny red flowerets pop out all over the skeletal branches of some. Others have white or pale green blossoms. Soon little delicate green leaves will show and grow. Dead-looking bulbs have pushed a little green shoot out of the ground. We know that there will be a tulip or daffodil in bright red or yellow soon. We know it. We must just as surely know that Jesus has risen from the dead. Every spring He gives us reminders. In a recent email I received there was an explanation of an occurrence that is mentioned in the Bible account of Jesus resurrection. It says that the napkin or small cloth that covered the face of Jesus in the tomb was found separate from the other wrapping cloths and folded. The article goes on to say that in Hebrew politeness, it you left the table and were not coming back, you would leave your napkin laid casually by your plate. That way the waiters would know to remove your dishes, etc. But if you were leaving only for a short time and were coming back, you folded your napkin so that the waiters would not clear your place. Jesus folded his napkin to remind us he IS coming back. All these reminders are not just about Jesus rising. We too will rise. At this time we may be struggling with physical or memory problems as a result of aging. It happens. All of us age. Just as the trees will have to shed their green strong leaves in autumn, so we begin the aches and pains. 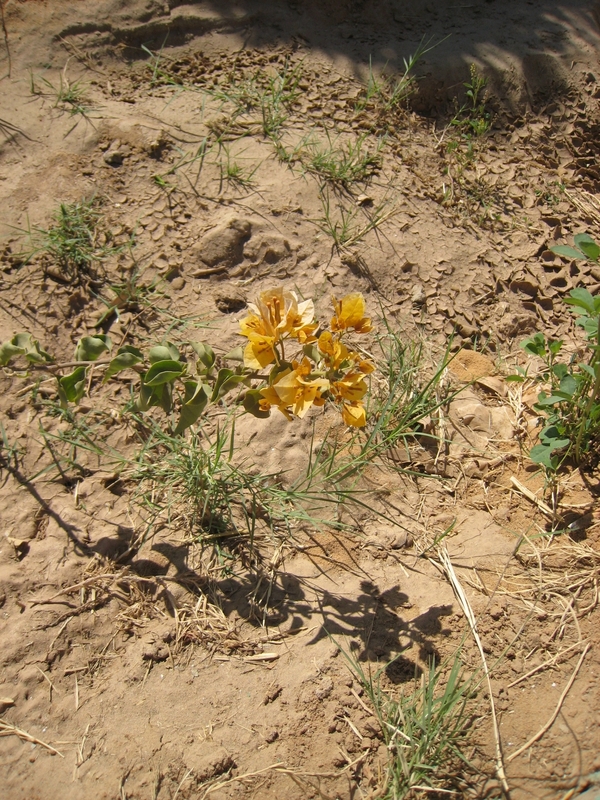 The stately daffodil will bow its head and wither. BUT, come spring all the beauty returns. We, then, can look forward to that eternal spring and the beautiful beings we will be when we can see our brother, Jesus, glorious in His resurrection. We will be glorious in our own. Rejoice! ALLELUIA! Jesus rose from the dead! So will we! 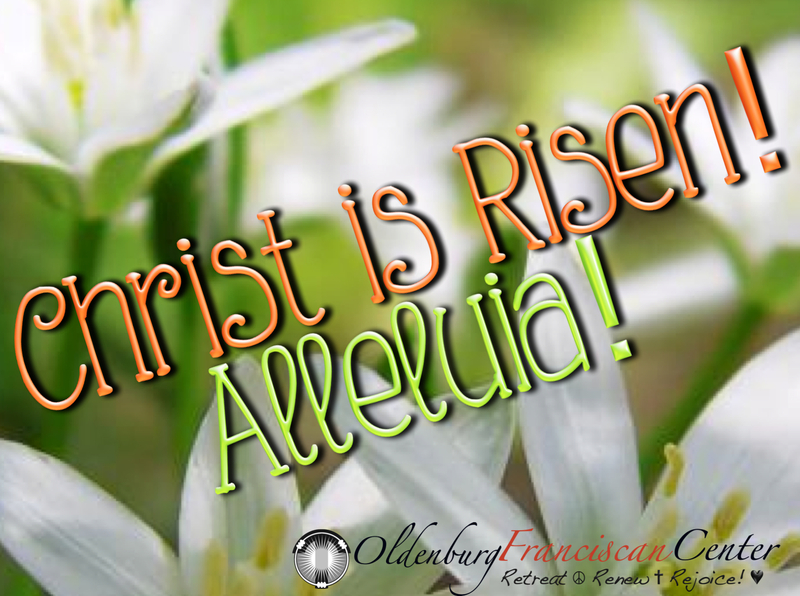 How can we do anything but shout ALLELUIA, as our mantra on this Easter Day, this Easter Season! 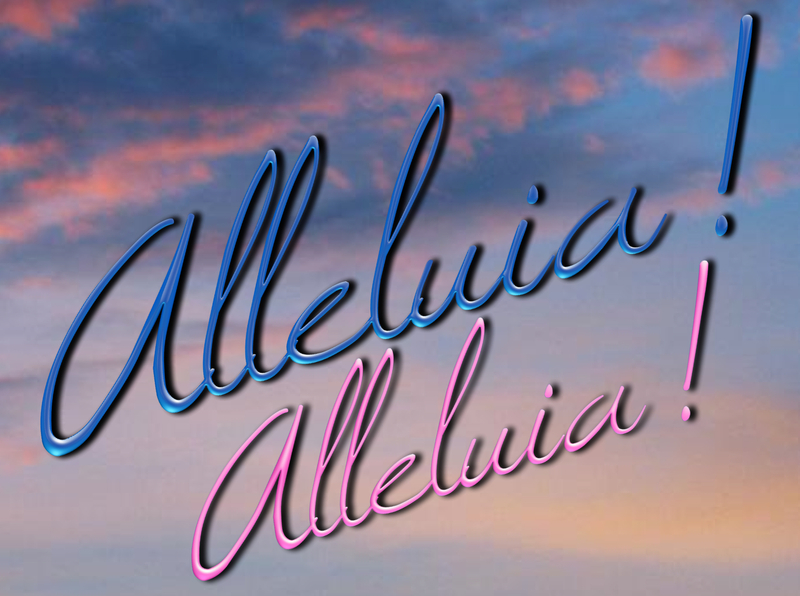 If ever there was a mantra to keep one mindful of our Easter Feast, Easter Joy, Easter Hope, Easter Savior, it would surely be “ALLELUIA, HALLELUJAH, PRAISE THE LORD! In our first reading, we can imagine Peter exclaiming the word as he said, “We are witnesses of all that He did…ALLELUIA!” And Paul in our second reading, “Seek what is above, ALLELUIA!” While reading the seven sentences in John’s Easter Gospel, it seems fitting to proclaim ALLELUIA at the end of each sentence. If we focus on that one single, solemn ALLELUIA, in prayerful repetition, surely our spirits will be raised. As St. Augustine says, “We should be Alleluia people from head to toe”! O Risen Savior…Alleluia. We give you praise…Alleluia. With immense gratitude we sing…Alleluia, Hallelujah! Don’t be afraid to let me love you just as you are. I know the journey you’ve been on. Every step of it is precious to me. slow, hesitant, barely inching forward steps, and even the dragging of feet. and the determined digging in of toes as you learned to begin anew. In the washing of your feet, I hold your inner journey as well. exhausted or exuberant, anxious or peaceful, discouraged or hopeful. those costly steps toward forgiveness, understanding, or softening of heart. or walking in circles, or meandering in confusion. Every step you have taken is precious to me. I bless you for the journey that is still yours to make. Barbara Leonhard, OSF is a theologian, spiritual director, and retreat leader at Oldenburg Franciscan Center. She is a lover of scripture and loves to share the Good News with others. Please contact center@oldenburgosf.com with any requests for permission to reproduce Washing of Feet. 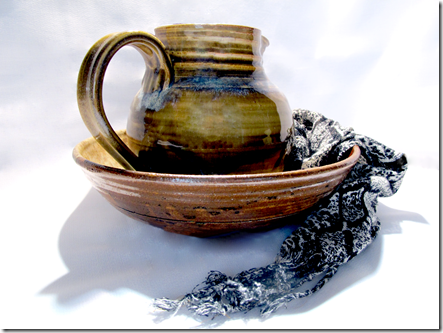 Please visit http://www.smallsmallacts.com for information on licensing of images or purchase of prints by Lois. In a very short period of time through the scriptures today we journey from shouting “Hosanna” to Crucify Him.” So many of the feelings a human being can have are experienced in the course of a few hours: exaltation, betrayal, misunderstanding, disappointment in loved ones, ridicule, hurt while being lied about, compassion, love, letting go, abandonment, acceptance, trust, justification. We find examples of courage in the face of pain; personal conviction while being about God’s will when others doubt; endurance based on trust in God. When our life journey finds us in times of hardship or betrayal by loved ones or dealing with physical limitations, how well do we listen to the voice of God within us, around us? How strong is our trust in God and the God-given abilities we possess? As we live the road to Calvary this Passion Sunday and journey through this holiest of weeks, may we listen to the whispers of God within us. Good and gracious God, we know that You do ALL for love. May we be attentive to the struggles or pain of loved ones and even those strangers among us. Through them you may be inviting us to help carry a cross or go the extra mile or “wash feet.” Give us the desire to walk in your footprints by reaching out to others in need, giving of ourselves in response to your great love for us. “Jesus remember me when you come into your kingdom.” We pray this in your name, Jesus. Amen. Photo linked from National Geographic. The leap from being a boy to being an ant is formidable. We cannot even imagine how far it is. His mind and imagination would be no more. The ability of his body to ride a bike, or hug his mom – gone. But this little guy was ready to do that to help a creature in some stress. Today is the feast of the Annunciation. 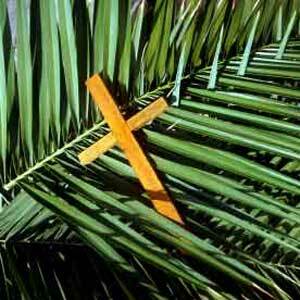 The Church does not celebrate it because we are in Holy Week. But in reality this is the most important day in the history of humanity. If the jump from boy to ant is tremendous, the jump from being God to being a human is infinitely more so. Stop to think about it. When Mary said, “Yes”, the most important thing on earth happened. Without her positive answer redemption would have not happened. (At least not as we know it. God can do anything.) And the embryo begun in Mary was God! The all-powerful, all-knowing, all-wise, all-everything was on earth, giving up all we know about God, and taking on the form of a human. And God, being God and able to do anything, did the absolutely impossible. God gave up all to be one of us. That is a leap greater than any of us can imagine. As a human, Jesus would be completely under the control of other humans for the years of his formation. As a baby someone had to control his eating. God had created the need for eating, now God had to wait for that need to be filled from the creatures God had made. The same is true of all the needs of a new human. Nothing of the God in Him could protect and nurture Jesus. His creatures, Mary and Joseph had to take care of God, just as our parents had to take care of us. Take care of God? The idea is beyond comprehension. But this is what the Annunciation is all about. Perhaps we should change the name to – The Annunciation to Mary and the Conception of Jesus. After all this is the real date of Jesus presence on earth. Welcome Jesus and ask pardon for all that we as humans did to make his last days so heartbreaking. He knew we would need to have him near always, and so gave himself to us in the Eucharist. I can hardly wrap my mind around the concept – God became human!!! Surround yourself in the infinite love of God for us, for YOU! Are you experiencing change and transition in your life? To be in “liminal space” means to be in a time of transition, like a doorway between two places. If this describes how you feel right now, join us for our next workshop! *This workshop is CEU Eligible for LSW, LCSW, LMHC, LMFT, LAC, and LCAC in Indiana. $20 additional fee. It seems that people who are brought before a judge in court are of three minds: denial, silent, truthful. Jesus today drew from deep wisdom to speak the truth for the accusers and the accused. He calls them one by one by one by one as he writes in the sand, to admit their stance against the woman. When Jesus looks up from writing in the sand, they had all slunk away in shame. Then he faces the accused and gave her mercy and forgiveness, as well as the way to enter into the future. Jesus, in truth, would also have forgiven the man who sinned with the woman but he did not present himself in silence. When I look in the mirror, do I recognize the truth in me? St. Patrick, whose feast is today, bound himself to the Trinity forever, always finding trust and truth in the God who loved him so. He would go forward each day, openly announcing the praise and mercy of God. Christ be within me. Christ be with me. Christ behind me. Christ before me. Christ beside me. Christ to win me. Christ in quiet. Christ in danger.